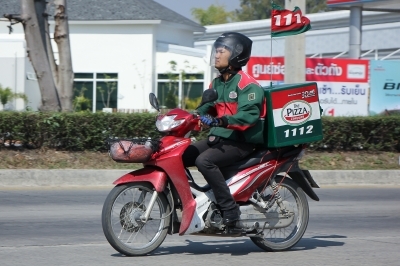 The appetite for GlobaL Food Delivery Business is growing rapidly. This business is witnessing robust VC investments, entry of new players and big fishes swallowing small fishes to consolidate and compete. There is lot of action, especially, in Europe. There are two models. In one, the aggregator sends the order to a restaurant and the restaurant delivers. In another model, the orders are booked and delivery is done by the aggregator. The customer orders food online using an app or directly through an aggregator. · Awesome food that you can eat every day. · Order in 20 seconds, get in 20 minutes. · Pick, click, & lick. The food delivery business is about 2% of total restaurant business. It is currently at $30 billion and has a potential to grow to $210 billion. Investors have poured nearly $10 billion into 421 food delivery deals since the start of 2014, but funding dropped by more than half in the first six months of 2016, according to research from CB Insights. “Eating out” is out, “ordering in” is in. In this new convenience economy, the restaurant industry is learning to cope with this change with a host of startups providing new ways of delivering food to customers on demand. Investment has predictably followed: startup analytics firm Traxcan showed that 31 food-tech startups in India have raised over $160 million in 2015, compared to $67 million in 2014. Moreover, just in the first 15 days of 2016, one firm raised $35 million funding. Money is definitely pouring into the sector despite whispers about unprofitability and a few recent shutdowns and perhaps, a slowdown in investments that might follow. Since launching in London in June, Uber has promised to cut delivery times to within a 30-minute window, with no minimum order size or extra delivery fees. Amazon has also entered the European Market. Uber and Amazon have deep pockets and a vast customer base around the globe. Will they be able to make a dent by capturing market share from established pure delivery players? Logistics efficiency and technology superiority of both companies can be a competitive advantage. Meanwhile, smaller players - Belgium's Take Eat Easy, delivering in 20 European cities, and London-based Pronto, which cooked meals as well as delivered them - have shut down in recent months, as the rush of funding that created dozens of start-ups modelled on Uber in recent years has dwindled. Delivery Hero has acquired Food Panda. The food delivery business is not slowing down any time soon. Smartphone explosion, technology and data analytics are the catalyst for growth. 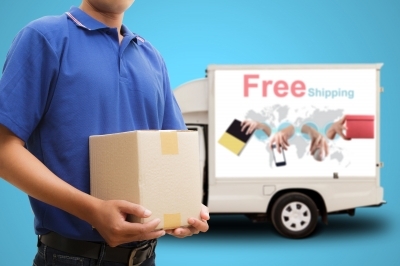 The following are three key success factors in Food delivery business. The business is volume based and margins are thin. The operators should have as many restaurants as possible under their belt. The consolidation, merger and small scale operators exiting business will be the future trend. VC investments may slowdown. There are non-technology driven eateries and restaurants in India delivering food to the customers even without an APP.